Self-belief and creating ‘recruiter equity’. Want to know why some recruiters forge long and successful careers and other struggle and fade away? Want to know why a handful of people have survived, even thrived, during this downturn, while most have lived hand to mouth or given up? I believe that all the training you have had as a recruiter, is a total waste of time, unless the skills and techniques you learnt are built on a platform of self-belief. In business, as in life, you get treated the way you allow yourself to be treated. We all know individuals, who are always ‘the victim’. Bad things are ‘always happening to them’.If something could go wrong with a client or candidate – it will. It’s all so unfair! But the reality is, that it is their behaviour and their demeanour and their attitude that’s the problem.They are failure-magnets. You see, the foundation point for a great recruiter is self-belief. You are the expert. Your client may be an Executive Director of a listed company or the CEO of a multi-national conglomerate, but who knows more about the permanent recruiting market? You or him? Who interviews hundreds of candidates each year?Who negotiates salaries every day?Who knows what motivates staff in today’s market place? Who knows permanent market-rate salaries, or how to handle a counter-offer situation? You are the expert. Believe in that and behave as though you believe that. If you do, your client will believe in you. But if you behave like a processor of resumes or a clerical resourcer, that is how you will be treated. Remember, you have the power to set the tone of the relationship with your client. Too many of us are forever apologising for our industry, and trying to justify our role. I have even heard consultants say that they feel our fees are expensive and find it hard to justify the service we provide. Rubbish! We must put that behind us. We must be proud of what we do and fiercely protective of our value. Any other way means you lose respect – and therefore control. Your relationship with your client is one of equality. It is not a ‘master/servant’ relationship. Through your credibility, your communication skills and your self-belief you impose on your client a process, which you know, will benefit him or her. Approach all contact with clients with respect, definitely, but always on a professional-to-professional basis. If you are subservient, apologetic or lacking in confidence, the client automatically takes control and you will be lost. To be a winner in the recruitment business, you must have the attitude of a winner. You need the skills of course, but only through the right attitude can you grow what I call your “Recruiter Equity”. Recruiter Equity is the trust, the buy-in, the belief that your clients have in your ability and your judgment. Recruiter Equity is the combination of your experience and your knowledge certainly, but it’s also the personal confidence you show in delivering that expertise. It gives you the power to advise clients, and truly impact the outcomes of your interaction with them. Equity means ownership, or a share of ownership. In the case of Recruiter Equity, I mean the joint ownership of the problem and the solution.Recruiter Equity is the key difference between winners and losers in this business. Do your clients trust your judgement? Do they interview every candidate you refer? Do they build questions into their recruitment process based on your advice? Do they adjust their hiring process and refine their letter offers, and add extra benefits, because you counsel them that this is the way to attract better talent? No? Then your Recruiter Equity is low – maybe non-existent. It takes hard work to build up your equity. It takes determination, study and practice. But it all stems from our attitude. Think about the best recruiters you know. The relationships they have with clients amount to shared equity. Sharing the problem. Sharing the solution. Sharing the rewards. But if you want to build Recruiter Equity, your service needs to be consultative rather than transactional. In other words do you provide resumes, or do you provide expertise? Because your survival depends on your ability to provide something your clients currently lack. And with cheap job boards, thousands of job-hunting talent, and hundreds of competitors referring resumes indiscriminately, resumes is one thing your clients do not lack. Does your client value your counsel in hiring trends, salary packaging and interview techniques for example? You see you are the expert – yet for some crazy reason we do not ACT like that in front of our clients. You have knowledge and expertise and contacts they desperately need if they are going to win the war for talent and hire the best people available. Hiring managers need your knowledge. It’s just that we have not yet learned how to sell that fact to them. And so, I believe, the client – deep down, WANTS you to control the process. Do you go to your doctor and tell her what tests to run and what drugs to prescribe? No. Do you go to your lawyer and tell him what words he will use in your legal documents? No. You trust and expect them to drive the solution to your medical or legal issues, to advise and to lead. This is how great recruiters succeed in our business. Belief in our value and ability to control client interaction. Recruiter Equity. Wouldn’t THAT be cool? Greg nice simplified explanation of why recruitment can be have such a high turnover and too many have a transactional approach. Building up equity takes time and effort. I think as a recruiter it is important to want to treat people with some compassion and empathy, not a 'product' that has a fee attached like some in our industry do. Building recruiter equity does not happen overnight. but will happen if you are committed to your career in recruitment. We as an industry need to get out from behind our computers and back in front of clients developing relationships. Hopefully, this recession will teach everyone the value of the back to basics appropach to recruitment. Superb advice, thanks for sharing. Spot on. We should place more emphasis on the consulting part of our role and create a better reputation for the industry. I make a point of only dealing with clients who want an easy process and me to do the hard work. Why anyone would pay a fee just to be inundated with cvs is beyond me. Great post, I couldn't agree more. Let's start to claim back Recruitment as a Professional Service. Great post! 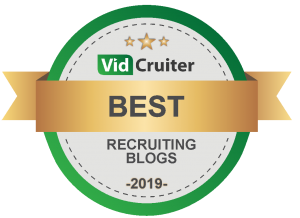 As a recruiter working on building her equity in the industry, it's posts such as these that helps assist the greener recruiters who want to grow and further develop in their craft. Brilliant post, and a great reminder for recruiters everywhere that we ARE the specialists! This is a great article and great motivation for any recruiters struggling to see the value they bring in their markets. 'Temp-to-perm' fees. Are we absolutely stark raving mad?